Updated Tuesday June 20, 2017 by Alpharetta Youth Softball Association (AYSA). For the second time in as many tournaments, the Alpharetta Attack 10U All Stars reached the championship game to only have it canceled due to weather. On 5/20/2017 at the West Cobb All Star Classic, the 10U Attack team came out of the loser's bracket to win 3 straight games and get to the championship game to only have their chances at glory dashed by Mother Nature. They ended up in 2nd place. 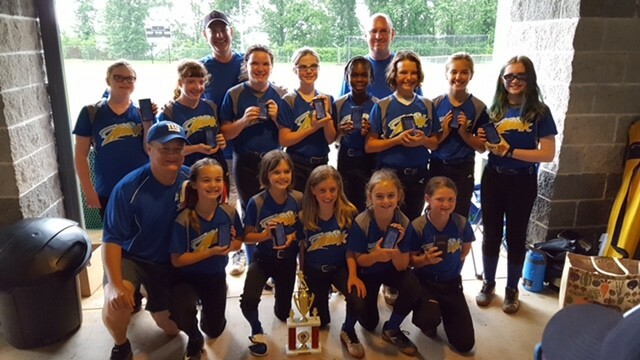 On 6/4/2017, after 3 days of softball, the 10U Attack team ended up in the Championship game to have that called after 3 completed innings due to rain again. They ended the 3 day tournament in 2nd place out of 11 teams. The weekend consisted of 6 HRs hit over the fence, one of which was a Grand Slam, the other a 2 run HR to win the game. External links are provided for reference purposes. Alpharetta Youth Softball Association (AYSA) is not responsible for the content of external Internet sites. Copyright Alpharetta Youth Softball Association (AYSA) All rights Reserved.